Hello, my name is Vickie Obenchain and I am the K-5 science specialist and 6-8 middle school science teacher at the Saklan School in Moraga, California. I was an outdoor environmental educator before becoming a classroom teacher and found water ways fascinating, as they can show you the health of an area, see human impact and also connect so many areas of the world and environments. Now in the classroom, as my school is very close to the San Francisco Bay, water and ocean topics are always a discussion in my science classes. Tomorrow, I leave for northwest Alaska to take apart in oceanic research on board NOAA Ship Fairweather. I will be working with NOAA scientists to help map the ocean floor around Alaska to help boats maneuver along those water ways, as most commerce comes either by boat or plane. Accurate up to date data is necessary to help also with storm surges and wave modeling. I am very excited to take part in this research. Being chosen to be a Teacher At Sea and learn along other scientists, take part in important research and travel to an area I have never seen before excites me to think of what all learning opportunities I will be able to bring back to my classroom. Most of all, I am excited to share with my students what a scientist’s life may look like; as they may get inspired themselves. The weather in Alaska looks like it is in the 50’s and 60’s during the day and down into the 40’s at night, so I am packing a bit warmer clothes then I have been wearing the last week. Along with my awesome new NOAA Teacher At Sea swag I received to make me feel like one of the gang. I hope you will follow along with me this summer! 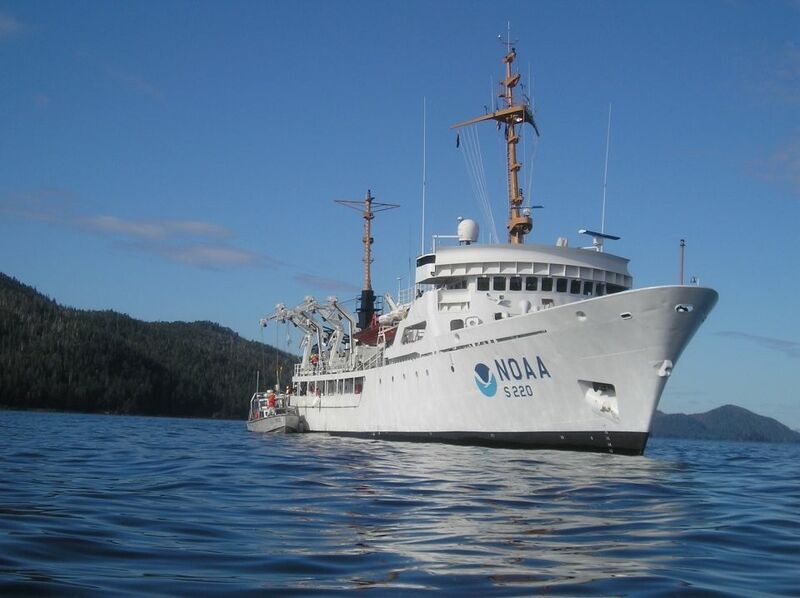 This entry was posted in 2018, NOAA Teacher at Sea, Victoria Obenchain and tagged Hydrographic survey, introduction, NOAA Ship Fairweather. Bookmark the permalink.